A large museum dedicated to the preservation of the art, artifacts, and memorabilia of the centuries-old sporting traditions of hunting, fishing, and all sports afield. 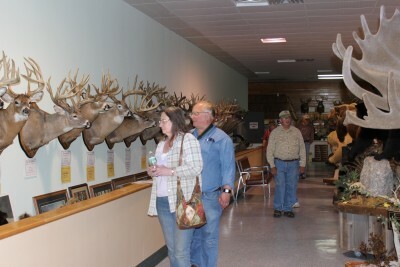 Houses a collection of birds, fish, and bear; the largest and most comprehensive collection of Whitetail Deer mounts in the country; displays of early tools and implements used to hunt game and fish from the past to present day. Art gallery and gift shop. Home of the New York State Outdoorsman Hall of Fame.